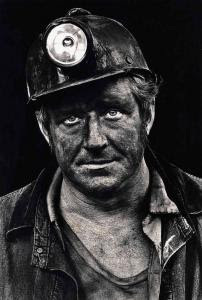 WHEELING, W.V., April 16, 2019 /PRNewswire/ — The West Virginia Mesothelioma Victims Center says, “A good portion of our family worked in the coal or hard rock mining industry, so we are extremely passionate about making certain any miner with mesothelioma or asbestos exposure lung cancer receives the very best possible compensation because of their exposure to asbestos. As we would like to discuss anytime at 800-714-0303, any miner with mesothelioma or asbestos exposure lung cancer that does not have the best possible legal representation will probably not receive the very best financial compensation settlement. For more information please visit the US Energy Information Energy Administration’s website on this topic: https://www.eia.gov/tools/faqs/faq.php?id=69&t=2. WHEELING, W.V., Feb. 19, 2019 /PRNewswire/ — The West Virginia Mesothelioma Victims Center is now offering to help a person in West Virginia who has just been diagnosed with mesothelioma or a person with asbestos exposure lung cancer anywhere in West Virginia with their goal being the best possible financial compensation results for a person in this situation and their family. They are urging a person like this or their family members to call them anytime at 800-714-0303 so they can introduce the diagnosed person to famed attorney Erik Karst and his colleagues at Karst von Oiste. 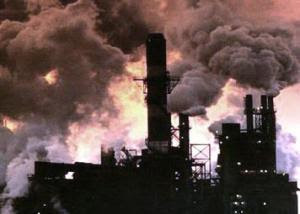 WHEELING, W.Va., Jan. 25, 2019 /PRNewswire/ — The West Virginia Mesothelioma Victims Center says, “If you are a US Navy Veteran who has recently been diagnosed with mesothelioma or asbestos exposure lung cancer anywhere in West Virginia, or you are their family member, please call us anytime at 800-714-0303 for direct access to attorney Erik Karstfounding partner of Karst von Oiste one of the nation’s premier mesothelioma law firms. “How were you exposed to asbestos while serving in the navy or while working in the private sector? Try to recall as much about the asbestos exposure as possible such as times and dates when to asbestos exposure took place. As an example, ‘in 1972 I was part of a navy decommissioning crew that removed the engine/boiler system from a navy destroyer.’ It is this type of information that becomes the basis for your mesothelioma or asbestos exposure lung cancer compensation claim and it is vital. WASHINGTON , DC, USA, November 26, 2018 /EINPresswire.com/ — According to the West Virginia Mesothelioma Victims Center, “We are urging a person with recently diagnosed mesothelioma or asbestos exposure lung cancer anywhere in West Virginia to call us anytime at 800-714-0303 to ensure they are dealing directly with the nation’s most skilled attorneys for compensation. There is nothing more heartbreaking for us than to learn a person in West Virginia hired a local car accident lawyer as opposed to one of the nation’s leading asbestos attorneys who specialize in getting the best possible financial compensation results for their clients. * “Make a list of all workplaces where you could have been exposed to asbestos such as a mine, a power plant, a steel mill, as an auto mechanic or while serving in the US Navy. * “On this list of workplaces where you could have been or were exposed to asbestos please try to give a time frame. Please remember mesothelioma may take three, four or five decades to develop so we could be talking about the 1960’s or 1970’s. * “Do you recall the names of coworkers or shipmates who may have witnessed your exposure to asbestos? This is type of information will be incredibly important for the lawyers we would like to suggest for your financial compensation claim. NEW YORK, NEW YORK, USA, May 18, 2018 /EINPresswire.com/ — The West Virginia Mesothelioma Victims Center says, “We are urging a person who has recently been diagnosed with mesothelioma in West Virginia to call to us anytime at 800-714-0303 for our incredibly unique approach to compensation, especially if we are talking about an energy worker, a power plant worker, a coal miner or a US Navy Veteran. * There is no such thing as a federally sponsored mesothelioma claims center or a Veterans claim center sponsored by the US Navy. Deceptive ads such as this are typically sponsored by mesothelioma middleman law firms who broker-out people with mesothelioma to other law firms. * The going rate for a very skilled mesothelioma attorney’s legal fees to represent a diagnosed person in West Virginia with mesothelioma is 33.3% of the gross settlement amount—-not 40%. * If the specific lawyer a family in West Virginia is talking to does not have actual references that confirm he/she was directly responsible for a million dollar plus mesothelioma compensation settlement for an energy worker or Navy Veteran within the last 12 months-please call us at 800-714-0303 for direct access to some of the nation’s top mesothelioma attorneys who have these types of references. The best possible financial compensation for a US Navy Veteran with mesothelioma in West Virginia is the top priority of the West Virginia Mesothelioma Victims Center. The group is urging a diagnosed Navy Veteran or their family to call them anytime at 800-714-0303 for on the spot access to some of the nation’s most skilled and capable mesothelioma attorneys. The group says, “The mesothelioma attorneys we suggest are some of the most skilled mesothelioma attorneys in the nation especially for a Navy Veteran. These leading lawyers have an extremely thorough understanding of navy ship engine rooms, most places on a navy ship where a sailor could have been exposed to asbestos, as well as the specific manufacturers of pipe insulation, pumps, gaskets, and more. They also can name every single US Navy shipyard because these are the types places where a US Navy Veteran could have had super exposure to asbestos. NEW YORK, NEW YORK, USA, February 13, 2018 /EINPresswire.com/ — The West Virginia Mesothelioma Victims Center says, “We are now urging a person anywhere in West Virginia who has just been diagnosed with mesothelioma or their family to call us anytime at 800-714-0303 for direct access to some of the nation’s most skilled lawyers who excel and getting the best possible mesothelioma compensation for their clients. These incredibly skilled fulltime mesothelioma attorneys also specialize in client satisfaction which means they go above and beyond to educate their clients about the compensation process. The group fears that many to most people with mesothelioma in West Virginia or their family members have no way of differentiating between the nation’s most capable and experienced mesothelioma attorneys and a mesothelioma marketing law firm that frequently use cable TV ads or Internet ads to entice people with mesothelioma compensation to call them. Phrases like ‘billions recovered’ or ‘no lawsuit needed; might sound great, but the question should be-let’s compare results with some of the nation’s leading mesothelioma attorneys to the cable TV lawyers. NEW YORK, NEW YORK, USA, November 14, 2017 /EINPresswire.com/ — The West Virginia Mesothelioma Victims Center says, “We are urging a person in West Virginia who has just been diagnosed with mesothelioma to call us anytime at 800-714-0303 for instant access to some of the nation’s most skilled mesothelioma compensation attorneys who consistently get superior compensation results for their clients. These are incredibly experienced mesothelioma attorneys and they make house calls anywhere in West Virginia which means they come to you for a free compensation analysis. * “If the attorney you are talking to cannot prove that they personally were the lead attorney on a mesothelioma compensation claim that resulted in a million-dollar compensation settlement within the last twelve months please call us at 800-714-0303 for on the spot access to some of the nation’s most skilled attorneys who have these exact types of references. * “If a person with mesothelioma in West Virginia does not hire the one of nation’s most capable and qualified mesothelioma attorneys they will not receive the best possible financial compensation settlement. The best mesothelioma compensation settlements and the nation’s most skilled mesothelioma attorneys are directly related. The West Virginia Mesothelioma Victims Center says, “What most people in West Virginia with mesothelioma or their family members do not realize is the nation’s top mesothelioma attorneys will want to talk with them and they will provide sound guidance with respect to what a potential compensation claim could be worth. Typically, we are talking about the managing partner or senior partner of one of the nation’s premier mesothelioma law firms. “Our number one goal is to see to it that a person who has been diagnosed with mesothelioma in West Virginia or their family members hire one of the nation’s top mesothelioma lawyers-because experience and skill on the part of the mesothelioma attorney matters when it comes to a financial compensation settlement for this rare cancer caused by asbestos exposure. NEW YORK, NEW YORK, USA, August 25, 2017 /EINPresswire.com/ — The West Virginia Mesothelioma Victims Center says, “We offer an unsurpassed free service to ensure a person who has recently been diagnosed with mesothelioma in West Virginia that includes a person like this has on the spot access to the most skilled and capable mesothelioma attorneys in the United States. The more experienced the attorney handling a mesothelioma compensation claim typically the better the financial compensation results. When we mention, ‘better compensation’ we mean hundreds of thousands of dollars or more. * On the spot access to the nation’s most skilled and qualified mesothelioma attorneys who consistently get the very best financial compensation results for their clients in West Virginia or nationwide. * A free treatment options report that outlines the best treatment option facilities in West Virginia and nearby states such as Pennsylvania or Maryland. NEW YORK, NEW YORK, USA, July 6, 2017 /EINPresswire.com/ — The West Virginia Mesothelioma Victims Center says, “We offer on the spot access to some of the nation’s most capable, skilled and experienced mesothelioma attorneys for a person who has recently been diagnosed with mesothelioma in West Virginia-especially if they are a power plant worker or a coal miner. As we would like to explain anytime at 800-714-0303 the best mesothelioma compensation only happens if the person with this rare form of cancer has the most qualified legal team assisting them. The Center fears that most of the time a person with mesothelioma in West Virginia or their family will act impulsively when it comes to hiring a lawyer. What the diagnosed person in West Virginia or their family may not realize is–some of the nation’s top mesothelioma attorneys will provide them with a no obligation detailed mesothelioma compensation evaluation and the attorneys will spend the time walking the diagnosed person through the financial compensation process. The incredibly skilled mesothelioma attorneys the Center recommends will also do everything possible to determine how or where the person with mesothelioma was exposed to asbestos. A power plant worker or coal miner with mesothelioma in West Virginia may have been exposed to asbestos in more than one state. It is attention to detail about how or where the asbestos exposure occurred that creates the best possible mesothelioma compensation results for a diagnosed person as the West Virginia Mesothelioma Victims Center would like to discuss anytime at 800-714-0303. NEW YORK, NEW YORK, USA, June 2, 2017 /EINPresswire.com/ — The West Virginia Mesothelioma Victims Center says, “We just heard about a former steel mill worker and coal miner near Wheeling who had died around the holiday season from mesothelioma before the family had time to contact a lawyer to begin the financial compensation process for this rare cancer caused by asbestos exposure. Why is it so incredibly vital to begin the mesothelioma financial compensation process as soon as possible for a person with mesothelioma in West Virginia and why is hiring a very skilled attorney necessary? NEW YORK, NEW YORK, USA, April 27, 2017 /EINPresswire.com/ — The West Virginia Mesothelioma Victims Center says, “We are urging an individual in West Virginia who has just been diagnosed with mesothelioma or their family members to call us anytime at 800-714-0303 so we can help educate you about the nation’s top mesothelioma attorneys and why it is vital to hire one to assist with your compensation. The West Virginia Mesothelioma Victims Center believes the biggest single mistake a person in West Virginia with mesothelioma can make is think their lawyer options are limited to local car accident attorneys. In reality-the nation’s top mesothelioma attorneys will typically want to assist a person with mesothelioma in West Virginia. As the West Virginia Mesothelioma Victims Center-would like to discuss anytime with a diagnosed energy worker in West Virginia, “For starters to get the best possible mesothelioma financial compensation it is of the utmost importance that the diagnosed person be represented by some of the nation’s most skilled and experienced mesothelioma attorneys. 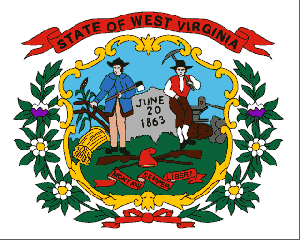 * West Virginia ranked fourth among the states in total energy production in 2013, producing 4.6% of the nation’s total. * In 2014, West Virginia was the largest coal producer east of the Mississippi River and the second largest in the nation after Wyoming; the state accounted for 11% of the U.S. total coal production that year. * In 2014, almost half (50 million short tons) of the coal that was mined in West Virginia was shipped to other states, and almost one-third (34 million short tons) was exported to foreign countries. * Coal-fired electric power plants accounted for 94% of West Virginia’s net electricity generation in 2015, natural gas contributed 1.8%, and renewable energy resources—primarily hydroelectric power and wind energy—contributed 3.7%. * In 2015, West Virginia was the eighth-largest natural gas-producing state in the nation, with more than 1.3 trillion cubic feet of natural gas production. The Center says, “About a month ago-we were in Wheeling, West Virginia and we saw on a local TV station run a mesothelioma commercial from a one-man law firm in Houston, Texas appealing to people in West Virginia to call his 800-telephone number. Please do not call TV mesothelioma law firms. In most instances-they are marketing law firms that broker out people with mesothelioma as if they were a commodity. The Center is concerned many people with mesothelioma in West Virginia will get overcharged by lawyers. The going rate for a law firm to handle a mesothelioma compensation claim is 33.3%-not 40%. West Virginia Mesothelioma Victims Center, December 5, 2016 /EINPresswire.com/ — The West Virginia Mesothelioma Victims Center says, “Our number one goal is seeing to it that a person with mesothelioma in West Virginia receives the very best possible financial compensation and we are only group in the nation that offers very honest instructions about attorneys to assist a family dealing with news of this rare cancer. We also suggest what medical centers have the best treatment options, how to prepare a home for a diagnosed person with mesothelioma, and must do issues that must be dealt with such as a will, and a very trusted family member being designated with power of attorney, and a lot more. * The Center fears most people in West Virginia with mesothelioma will never get properly compensated because they hired an unqualified lawyer or law firm. * Even worse the Center is concerned many people with mesothelioma in West Virginia will get overcharged by lawyers in legal fees. The going rate for a law firm to handle a mesothelioma compensation claim is 33.3%-not 40%. NEW YORK, NY, November 04, 2016 /24-7PressRelease/ — The West Virginia Mesothelioma Victims Center says, “There are a significant number-of mesothelioma lawyer advertisements on the Internet that make it sound like no lawsuit is needed or that there is such a thing as a federally sponsored mesothelioma claims center. There is one slight problem-these notions would be false as a lawsuit may be needed to get the best mesothelioma compensation and there is no federally sponsored claims center. The types of people with mesothelioma in West Virginia the West Virginia Mesothelioma Victims Center specializes in helping include coal miners, steel mill workers, US Navy Veterans, power plant workers, manufacturing, or industrial workers, plumbers, electricians, welders, auto mechanics, machinists, or construction workers. In most instances these workers were exposed to asbestos in the 1950’s, 1960’s, 1970’s, or 1980’s. A US Navy veteran or person with mesothelioma in West Virginia should be concerned about having the nation’s most skilled and experienced mesothelioma attorneys. 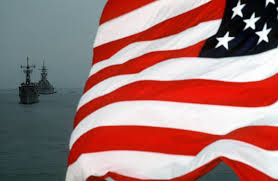 Vital Compensation Tips for a US Navy Veteran or person in West Virginia who has been diagnosed with mesothelioma in West Virginia from the West Virginia Mesothelioma Victims Center. * “The nation’s top mesothelioma attorneys for compensation for a US Navy Veteran or person with mesothelioma in West Virginia probably do not have their primary offices in the Mountain State. * “A US Navy veteran or person with mesothelioma in West Virginia should be concerned about having the nation’s most skilled and experienced mesothelioma attorneys because the more qualified the lawyer the better the compensation results as we would like to explain anytime at 800-714-0303. The West Virginia Mesothelioma Victims Center is also incredibly focused on making certain a diagnosed victim in the Mountain State has the best treatment options. Two of the better options for diagnosed victims in West Virginia include the Mary Babb Randolph Cancer Center in Morgantown, or the University of Pittsburgh’s Cancer Institute. If you do not retain the nation’s most skilled and experienced mesothelioma attorneys you probably will not receive the very best possible financial compensation. West Virginia Mesothelioma Victims Center, August 11, 2016 /EINPresswire.com/ — The West Virginia Mesothelioma Victims Center says, “We offer instant and very honest advice for a Veteran or public utility worker who has just been diagnosed with mesothelioma anywhere in West Virginia. Our number one tip is to aim high when it comes to hiring a lawyer to assist with a mesothelioma compensation claim. Our second suggestion is if you do not hire one of the nation’s most skilled mesothelioma attorneys you probably will get shortchanged on financial compensation for this rare form of cancer caused by asbestos exposure. “Its vital a diagnosed person in West Virginia with mesothelioma hires the top mesothelioma in the nation because the best mesothelioma attorneys get better compensation results for their clients. West Virginia Mesothelioma Victims Center, USA, July 8, 2016 /EINPresswire.com/ — The West Virginia Mesothelioma Victims Center says, “We offer the best possible advice when it comes to a person with mesothelioma in West Virginia receiving a better financial compensation settlement. The attorneys we suggest are considered to be some of the very best in the nation when it comes to mesothelioma financial settlements and they offer a lot more than honest advice about compensation. They will also be extremely knowledgeable about treatment options. Why settle for less? When it comes to obtaining the best mesothelioma financial compensation for a person in West Virginia it all boils down to having the nation’s top mesothelioma legal specialists advancing the claim. West Virginia Mesothelioma Victims Center, June 7, 2016 /EINPresswire.com/ — The West Virginia Mesothelioma Victims Center says, “We are offering a person in West Virginia with mesothelioma a much easier way to get the best possible mesothelioma compensation by making certain they have instant access to the nation’s most skilled and qualified mesothelioma attorneys who get the best compensation results-nationwide. We are extending our invitation to the family members of a diagnosed person with mesothelioma because as we would like to explain anytime at 800-714-0303 if you can get the best possible mesothelioma attorneys- why not do it? Advantages of hiring the nation’s most experienced mesothelioma attorneys from the West Virginia Mesothelioma Victims Center: The West Virginia Mesothelioma Victims Center believes the advantages a top mesothelioma attorney brings to the table for a diagnosed person in West Virginia is a much better financial settlement outcome, a quicker compensation settlement for at least a portion of the claim, and a detailed map that explains how they intend to get the best possible compensation outcome for their client. We are urging a person recently diagnosed with mesothelioma in West Virginia or their family to call us anytime at 800-714-0303 to ensure they have the nation’s most experienced mesothelioma lawyers. West Virginia Mesothelioma Victims Center, April 18, 2016 /EINPresswire.com/ — The West Virginia Mesothelioma Victims Center says, “We are urging a person recently diagnosed with mesothelioma in West Virginia or their family to call us anytime at 800-714-0303 to ensure they have the nation’s most experienced mesothelioma lawyers. As we would like to explain there is a direct relationship between best possible mesothelioma compensation and very skilled full time mesothelioma lawyers. · If the West Virginia personal injury law firm does not have references from very satisfied family members related to the law firm’s professionalism and the mesothelioma compensation results they produced please call the West Virginia Mesothelioma Victims Center anytime at 800-714-0303 for the names of lawyers who have these types of references. High risk work groups for exposure to asbestos in West Virginia include US Navy Veterans, power plant workers, shipyard workers, oil refinery workers, steel mill workers, coal miners, manufacturing, or industrial workers, plumbers, electricians, auto mechanics, machinists, miners, or construction workers. Typically the exposure to asbestos occurred in the 1950’s, 1960’s, 1970’s, or 1980’s. We also want to emphasize the mesothelioma lawyers we suggest are not only the nation’s top mesothelioma compensation experts they also make house calls. West Virginia Mesothelioma Victims Center, March 18, 2016 /EINPresswire.com/ — According to the West Virginia Mesothelioma Victims Center, “We are offering to help a just diagnosed victim in West Virginia obtain on the spot access to the nation’s most experienced and skilled mesothelioma attorneys with one call to 800-714-0303. “These lawyers also make house calls and they have references from families in West Virginia who they have helped in the past. Why shortchange yourself out of hundreds of thousands of dollars or more by selecting an unqualified or less than experienced lawyer to assist with a mesothelioma compensation claim? The West Virginia Mesothelioma Victims Center is now urging an individual who has been diagnosed with mesothelioma in West Virginia to call them at 800-714-0303 for a quick explanation about it is so vital to have the most experienced lawyers. NEW YORK, NY, February 12, 2016 /24-7PressRelease/ — The West Virginia Mesothelioma Victims Center says, “Our number one goal is to see to it that a recently diagnosed person with mesothelioma in West Virginia has on the spot access to the nation’s most skilled mesothelioma lawyers because the best mesothelioma lawyers typically get much better compensation results for their clients. This is especially true if we are talking about a US Navy Veteran, or a former coal miner, a steel mill worker, a power plant worker, or a plumber, electrician, welder, or construction worker anywhere in West Virginia.